It hasn’t even been a whole 4 months since the HTC Rezound hit the streets, but in cell phone years, that’s almost a lifetime. The premium Android handset that originally retailed for $299 on-contract can be yours for just $49.99. The Rezound is notable for its 720p display, Beats Audio support and dual-core processor. As you'd expect from a leading Verizon phone, there's 4G LTE connectivity included too. 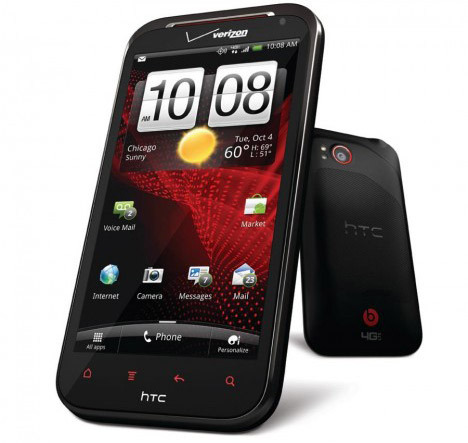 Considering we got wind that the HTC Rezound will begin to receive an OTA Ice Cream Sandwich update as early as this Friday, April 6 and it comes packaged with a pair of Beats Audio headphones, $49.99 is a steal for this device. You can head on over to the Verizon Wireless website to take advantage of this offer before it ends on April 9th.